I love each of these products and think you will too! Click on the links to the vendor websites. More coming soon. 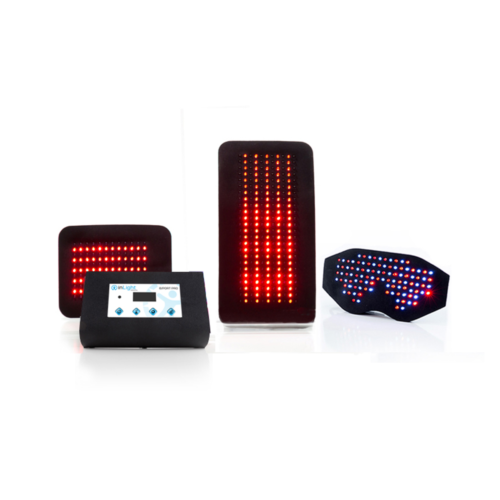 My husband and I regularly utilize light therapy and my parents now use it daily as well. I was such a fan of how it helped me and my family that I actually became a Certified Light Therapist. This is the device I use in my home...with a couple of extra pads since I have a lot of aches and pains. If you would like more information about this health and wellness product, please contact me at 763-267-7531. *Laura Patrick is not a licensed physician and is unable to cure, diagnose, mitigate, prevent, treat conditions. Products depicted are for pain reduction and increased circulation. Light Therapy should not be used as a replacement for medical treatment from a licensed physician or other healthcare providers. Use the promo code: LPGolf at checkout to get 10% off the new purchase price of $149. With automatic shot tracking and real-time stats, get the insights you need to improve your game - we can even review those stats during your lessons! 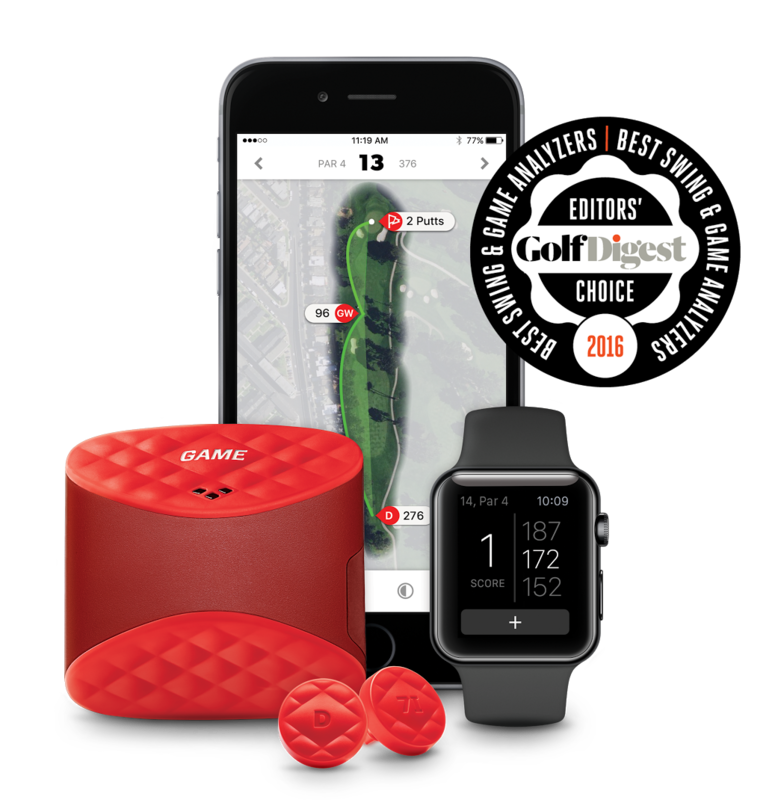 Works with both Apple and Android and is USGA compliant during competition when used without the app. With my promo code, that's $134 to never have to keep stats again! PLAY: GAME GOLF works in the background so you can keep your head in the game. It records each shot and collects your stats to tell you how you did on every hole. Simply attach our GAME GOLF tags to your golf clubs and our automatic shot tracking system will do the rest. SEE: From tee to green, you’ll get an advanced view of your stats, fairway accuracy, scrambling percentages, and shot dispersion for all clubs and yardages. SHARE: Each game you play can become a showcase of progress or accomplishments. With full access to the community on the GAME GOLF platform, your game is no longer limited to the people you play with. COMPARE: See how you stack up against others by viewing the side-by-side comparison online. Much more than basic stats, you can view the strengths and weaknesses of other players and even the pros. CHALLENGE: Whether you’re playing for fun or playing to win, you can virtually compete in a skills challenge with anyone–even our pros. COMPETE: Take this weekend's foursome to a new level with Live Leaderboards. The Live Leaderboard automatically accounts for handicaps among players and makes the weekend gaming more seamless and fun. Orange Whip Trainer - You Gotta Feel It! Use the link above or enter the promo code: LPGolf to get $10 off your purchase! Coming Soon! The Orange Whip Wedge inspired by Stan Utley - hit shots with your Orange Whip. It's a game changer for the short game! 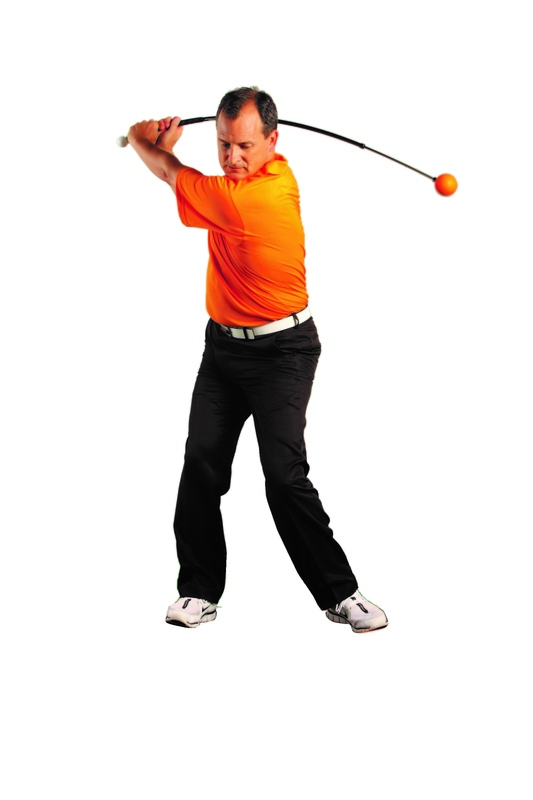 Whether you are a Tour Player or a beginning golfer, using the Orange Whip Trainer allows you to feel if your swing is actually in rhythm and balance. Providing a low impact workout, the Orange Whip Trainer will increase your flexibility and strengthen your golf muscles. Ask any Tour Player or Golf Instructor and they will tell you it's the perfect warm-up tool because it properly stretches your golf muscles while perfecting tempo and balance. Golf Training Aids is the largest collection of training aids in the world. Training aid purchases receive a discount of approximately 10%. Browse Training Aids from many different companies and professionals all in one place. Golftrainingaids.com is owned and operated by Golf Around the World and is now located in Boca Raton, Florida. Founded by PGA Master Professional Dr. Gary Wiren, in 1984 as a resource for providing training aids to teaching and touring professionals, Golftrainingaids.com has expanded to now offer the world's largest selection of golf teaching and training aids. Serving the golf industry for over 30 years, we are the most knowledgeable one stop shop for all of your training needs. 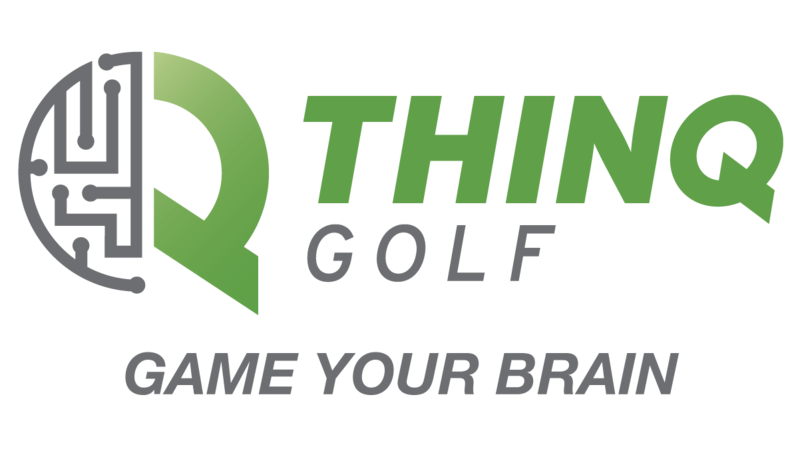 THINQ Golf is committed to improving a golfer’s performance by accelerating the development of the mental game through scientifically based brain games and education. Want to game your brain like the best golfers in the country? This fun game based training is used by top golfers and amateurs alike all around the world. Why spend your time playing regular on-line games when you could be having fun and improving your golf game! Skin Solution - Heaven sent for a weather worn golfer's face...trust me, I know! A student of mine created skin solution. She actually gave me a couple toilettes at the end of my golf class because my earlobe was bleeding from peeling skin that I had gotten from a sunburn. I'd been trying to get it to heal for a couple weeks - all day sun combined with sunscreen wasn't helping the situation. I thought sure, yeah right this product is going to fix my ongoing problem. She told me to use the toilette on my ear and then to use the rest on my face. I used it on my ear right away and used the rest of the toilette of my face that night. First of all, I couldn't believe how great the oils felt on my sun-beaten face at the end of the day, and then a few days later my ear healed too. I couldn't believe it. I bought a bottle of Skin Solution from her thinking wow, I really like this stuff but you only get an ounce, and I go through sunscreen and lotion like crazy. I bought the bottle and used it DAILY...it lasted about four months. A drop or two makes my face feel amazing after being sun and wind burned...so much that I threw away my facial moisturizer. I also use it all winter on my face to help combat the dryness. And yes, I'll often use it in the place of Neosporin. So that is why I love Skin Solution and am recommending it to other weather worn golfers. Once you try it you'll be hooked! Just remember, it's also created by one of my awesome students and it's a great local business. How can you go wrong? Click on the photo for more info. This Compensation Disclosure has been provided for your protection and to fully disclose any relationship between this sites product or service recommendations and the owners of those products or services. The owner of this website is required by the FTC to inform you that a relationship exists between LauraPatrickGolf.com and some of the products or services it reviews, recommends or promotes. LauraPatrickGolf.com makes use of affiliate relationships with merchants for monetization. This means when you click on links to various merchants on this site and make a purchase, this can result in a commission that is credited to this site. Some affiliate programs and affiliations include, but are not limited to, Commission Junction, Infusionsoft, and any companies with above-listed links. The opinions expressed here are those of myself as an individual and are not necessarily the opinions of nor reflect the views of any merchants I am affiliated with. I have chosen to only recommend products and services on LauraPatrickGolf.com that I use or have thoroughly researched. I earn a full-time living as a golf coach by informing people about available golf products and services, so it is essential that I maintain my credibility. I take my responsibility as an affiliate and subject matter expert very seriously. Any registered trademarks or servicemarks listed on this page are the sole owner of the companies listed and are used only to promote their products.